The safari was all I had hoped for. The only complaint was that I was not informed that the majority of the tour was at altitude. I suffer from CHF and COPD so I had some difficulties with my breathing. Our driver/guide was very knowledgable and also a lot of fun. He made sure we were able to see all the animals and he named them for us. Favourite experience was seeing my first leopard. We were able to cross the big five off our lists. Outstanding experience of a life time! People in Kenya were wonderful. The trip was more than I expected. The arrangements were great and details had been taken care of. The parks were outstanding! Guide was the best. everything was handled well. right from airport pic up at the start of the trip to airport departure at the end of the trip. i saw everything that i wanted to see & then some. the best experience was going over the plains in a balloon. We really didn't know exactly what to expect. Well..... you certainly exceeded any expectations we had. You created a truly "once in a lifetime" experience for us. From the lodging to the daily "game drives", we saw incredible glimpses of life in Kenya.... both human and animal. We would highly recommend this Safari to anyone considering this type of experience. Of course, the most memorable experience of the Safari was the ANIMALS. To be able to see them up close in their natural state, was just amazing. Collette are easy and efficient to deal with. We book directly with them and they always return calls and answer queries quickly. When BA cancelled our return flight from Heathrow to Newcastle they quickly booked a flight to Edinburgh and a taxi home. An excellent trip and we saw the Big 5 plus lots more. We had an excellent driver/guide and an excellent tour manager. It is a tiring holiday, there are some long journeys and very busy days but even when traveling there is a lot to see from the bus. There were 5 of us in our vehicle which makes it a bit cramped when trying to view wildlife and leg room is very limited. All the hotels were very good. Most meals were buffets with amazing variety when you consider how remote the locations were. My highlight was the hot air balloon flight over the Masai Mara. It was a good, well planned trip. The Plains of Africa was wonderful! A once in a lifetime journey with wonderful hotels, great food and nice traveling companions. The scenery was breathtaking as were the many great wildlife pictures we took. We had a great driver that managed to get us in just the right spot and position to see and come up with great photos of the “Big Five”. This is our second Collete tour and as always it was top notch! You can count on Collete to do a tour right down to the last details. We look forward to exploring the world further with Collette. The tour was great, exceeded our expectations! Hotels were excellent, food was excellent and the drivers and guides were knowledgeable and helpful, made sure we got the great pictures we did! Seeithe Big Five and many other animals was a photographer’s dream come true! The tour was very well organized. The guide and drivers were very communicative and always ready for our daily excursions which included great variety of terrain and wildlife. The accommodations and food were outstanding and the game drives were always exciting and rewarding. We appreciated alternating between one night and two night stays. Watching a lion stalk, kill and drag away a wildebeest and later watching her bring her two cubs to feed on the carcass. Answered all of our questions professionally and cheerfully. Also happy to bring in our travel agent to handle. Surprise Sundowner happy hour overlooking a river at sunset, with entertainment! This safari surpassed my expectations. The lodgings, food and vans were first class. As the time passed each day was more spectacular than the one before. It included an excellent choice of parks with a variety of landscapes, animals and birds. Appreciated the few two day stay overs without the long drives to allow some down time. The two a day game drives were just right and our driver/guide, Abdi, drove carefully and had the talent to find the animals. He was also knowledgeable of the flora and fauna and patiently answered all my questions. I would recommend this fabulous safari to anyone! Worth every dollar I spent. The most memorable experience, spectacular yet gruesome, was watching a lioness pulling a wildebeest down and dragging the huge animal off to the waiting cubs. A wonderful adventure for my wife and I although I cannot recommend it to my friends unless I talk to them first and warn them about the 41 hours of travel in vans so cramped that it's more uncomfortable than economy air seats in the cheapest airline. Thank you for traveling with Collette to Africa. A member of the Guest Relations Team will be reaching out to discuss your feedback. I would definitely recommend Collette travel to my friends. We had a wonderful guide who made sure we knew history of Kenya and important facts of the animals and birds. All of our accommodations were great and everything was clean. I would just suggest a change in some of the buffets as we tended to have the same food every day (it was still good and well presented) though. The local people of Kenya were very friendly. The service from the airport to the hotel was good, although we had trouble finding our driver. It all worked out well once he was found. It was amazing to see the animals in their natural habitat and up close. I think seeing the leopards and cheetahs was an added highlight for me. Overall this trip was one of the best we’ve experienced. 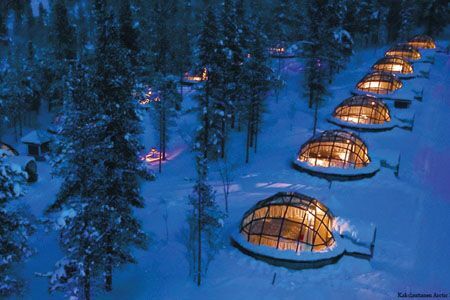 Excellent accommodations, our expectations were exceeded. Our Tour Manager and Guide/drivers were very knowledgeable and made the experience that much more exciting, especially Dickson and Tom! Improving in pre trip info would have helped in defining the type of luggage required, wheels vs no wheels, and when biding a local village “fly nets required”. Fantastic tour having seen the Big five animals in their environment . Several small? complaints. We weren't told about the need for malaria meds, and we talked to them several times. We were told that the hotel Sarova Stanley would not keep our unneeded luggage, so we had to book a separate hotel for one night so that we could leave the luggage for the rest of our journey after we had finished in Kenya. Sarova Stanley was willing to keep our luggage, as they kept some for others in our group. The people were great. Our driver/guide, ****, was wonderful. BUT, the van was very uncomfortable. Very jolting on the bad roads. Excellent accomodations, driver and sights! Knowledgeable guides making the trip just like the brochure. Best bit was all of it actually! Every part of the itinerary was accurate and timely. Tour manager and drivers were top notch. Very personable and extremely accommodating. Well exceeded my expectations. Being out in the bush with the animals was awesome. I felt very safe from the time I landed in Nairobi. I opted for the visit to the elephant orphange with was great. Our driver ***** and the tour manager made the experience very rewarding. All questions were answered, saw all 5 of the special 5 and the big 5. The migration of the wildebeest was what I wanted to see and I saw. The one thing I would suggest is some down time to really gather your thoughts and rest. Also I would suggest offering airplane rides instead of the long drives from place to place. Well organized, Affordable, Enjoyable ! Well organized, good food and lodgings. Great tour guides and drivers. An eye opening trip. Affordable, enjoyable, well organized, great food and lodgings. Perfect service from our tour manager and our driver. We have traveled with Collette 4 times now and have had a wonderful time! Everything is well planned and the food and accommodations are top notch! We have been very happy with the tour managers too. 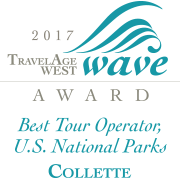 We have repeatedly recommended Collette to anyone considering a tour. We were very pleased with all the animals we saw including the elephant orphanage which was wonderful! The visit to the Masai village was a highlight. Really appreciated getting to visit the bead factory and weaving factory. Hearing how they began and about the women they help added so much to any shopping we did.Our tour manager was terrific! This was the most wonderful trip we have taken. The guides were extremely professional and helpful, the accommodations were superior, the service was great. Everything went smoothly. I would recommend this trip to anyone. The visit to the elephant orphanage was the highlist of the trip. Had great lodges and the tour director and driver quides from Liberty Africa were great. Seeing the "big 5" was awesome. When you want to enjoy everything about your trip! Collette takes care of all the details, so all you have to do is enjoy and soak in the magnificent place of your tour. Their tour managers take care of you, so there is nothing, nothing to interfere with your trip. I just completed my 6th tour with them. The fabulous accommodations, food, and people of Kenya! Oh, and the animals! The visits to various reserves and parks gave an opportunity to see different climatic zones. This gave a wider opportunity to see more animal varieties. The tour manager / drivers were very knowledgeable. Also, our driver exhibited very safe attitude while driving on some very congested highways. The drivers always stopped and explained any views of the animals we saw and would not pressure us to move along - simply let us take photos as long as we wanted. The opportunity to view the lions in the Samburu reserve was a highlight. Amazing our driver guide excellent, food great , lodges perfect. It was over the top. It was so much better than we expected. We saw so many animals and so close. Our driver Housaine was so helpful and knowledgeable. Tom our guide as so good at instructions and directions. The accommodations were spectacular. Every need was met and always anticipated answers to any questions. Kenya was a completely satisfying safari. The driver guides were so knowledgeable and knew so many details about the animals and culture, and were able to spot them quickly. The hotel properties were 4-5 star of what they can be in Kenya, and the tent in the Masai Mara was definitely a highlight property. We saw all of the big 5 and didn't go home feeling like we missed an inch of Kenya. Coming in a day early is a good idea, to be able to rest before starting a very busy tour! Great job Collette! The bush breakfast in Lake Nakuru. It was a gr at trip but you need a day with some down time to recover from the long days . For tours in the third world borchures need to be updated to provide needed facts. Animal viewing was amazing as were the guides, and accommodations. Food was fine and plenty of it as we had three meals everyday. On this particular tour Collette failed to disclose the travel time between reserves/national parks (three to five hours between destinations on some pretty rough roads). Letting women know that a sports bra would be needed would have eased the discomfort of some pretty terrible roads. This is my third trip with Colette and I will use them in the future but not in the developing world. Using a local tour company helps the local economy with jobs and revenue but I was dismayed at the lack of disclosure in Colette's brochure. I opted to take the Tanzania extension which clearly states if less than four people have paid the extension would be cancelled. I was the ONLY person on the extension and was NEVER advised of this until after I purchased my Tanzania visa. Having said that I had a wonderful guide and five day trip. But as a paying customer I should have been provided with this information prior to leaving Kenya. When I spoke to a Colette customer representative, when I returned home, I felt my concerns were not taken seriously. And finally the day of travel home. There was a five hour drive to the Kilimanjaro airport, which was not disclosed, and then a three hour wait until the small plane left for the Nairobi International airport. In the future I will ask many more detailed questions prior to booking an international tour. My first two tours with this company (Scotland 2015 and Iceland June of 2016) were wonderful. Absolutely no complaints. So this trip was a letdown due to the lack of disclosure which I outlined above. The trip was very expensive and I am sad that Colette disappointed me. The Plains of Africa is rated as a "5" for activity which led me to believe there would be walking/hiking. Not true. Due to the locations no one is allowed out of the vans (of course) but the rating was deceptive. In contrast the Tanzania extension was rated a "3" which is appropriate. The brochure discusses the tipping protocol which is very helpful but obviously no one from Colette has been on this tour. There wasn't a guide and a driver, it was only one person doing both duties. The guides were very knowledgeable about the locations, their culture and the animals. The most amazing part of the tour was the animals and how very close the vans were able to get to these wild critters. Very good trip. I would use Collette again. Loved hot air ballooning and the champagne breakfast experience! I enjoyed my whole trip,what you advised on the paper was tried,your experience really count,from the driver to tiny thing like the hot water bottle which was perfect. I am happy to tell all my friends to have a go,it's wonderful. Every day we were taken to surprise,we saw lions having a feed ( antelope) in the wild,the Eagle hovering in the sky,eventually there were 24 vouchers lining near the lion in 4 rows patiently to have a taste,it was something . Wonderful experience but Collette needs to update their itinerary booklet. Our tour guide in Kenya, Hussaine, was excellent in explaining things as well as knowing where the animals were. However, our tour guide in Tanzania, Sarturo, was a let down. One point of confusion was on tipping (in Kenya). Our driver, Hussain, was more of our tour guide than Robert. We only saw Robert to get info on when to meet a few other details. So, I tipped Hussain as the Tour Guide, and Robert got about half. The people who had Robert as their tour guide only tipped Robert. This made it seem like those of us who had Hussain needed to tip more than those who had Robert as their drivers. Our driver Hussain, would receive "++". My favorite memory was being able to see so many animals at a close range. Everything went smoothly and we were given all detailed information for our trip. We saw two adult male lions take down and kill a cape buffalo in Lion Hill. It was amazing. The trip was spectacular. Loved visiting the Masai Village too! What an experience. A highlight for sure! Single rooms are on request only and are extremely limited. Triples are not available. Child rates are not available. Soft duffel bag luggage is required for this tour with maximum weight of 15 kgs. (approximately 33 pounds). Park fees are included in the land price of your tour. A Kenya visa is required for this tour and must be obtained in advance. To apply for your visa in advance, please go to www.ecitizen.go.ke to submit an application and register yourself as a visitor. You will need a scanned copy of your passport as well as a passport photo to apply for the visa. Please allow for ample time as it may take up to a week or more to process. Bring a printed copy of your visa to present upon arrival in Kenya. The current cost of the single entry visa through this website is $50 USD, rates are approximate and can be changed at any time based on governing authority. Should you wish to use an alternate visa service provider, additional processing fees may apply. We will not be responsible for costs incurred for missed flights or canceled tours where a guest fails to secure proper documentation. In order to fully experience the destination, some of our accommodation on this programme have a finite number of rooms available. In these cases, your Tour Manager will be accommodated at a nearby property and will be readily accessible by phone. 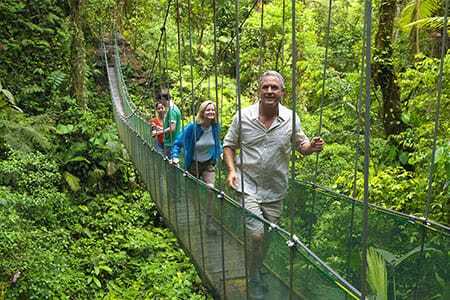 Travel with just 18 passengers on this tour, where a smaller group setting means a more personal travel experience.